While my Parisian friends measure my Parisian-ness by my feistiness in a fight on the public transport (lol), I think I’ve only identified as a local after the weekend that went by. ‘Why’ you ask? Because I showed Paris around to my lovely college girlfriend and her family from India! The challenging part was, in fact, the paucity of time they had. A day and a half to see all of Paris? Must be a joke, you’d think. But boy, did we do it! 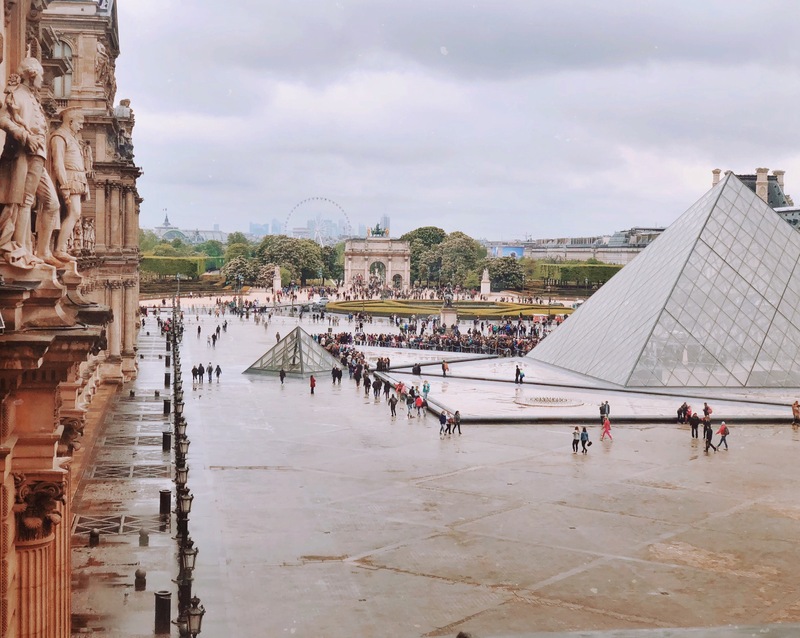 The hectic but fun-filled weekend made me realize how I have no travel diary in my own city and thus I compiled my itinerary into this blog with all things to do in a weekend in Paris. So, obviously, this article doesn’t cover everything that is to do in Paris. I mean, let’s face it, you need more than a weekend in Paris to do ‘everything’. However, if you do decide to follow this travel diary, you can have the best time in Paris in a short time with the best possible budget. It’s all about optimizing and making the most out of what you have. Paris is the capital city of France. Since the 17th century, Paris has been one of Europe’s major centers of finance, commerce, fashion, science, and the arts. If you care even a zilch about fashion, this place is your mecca. The travelers are found here seeking the scenic beauty, romantic vibes, and a lot more. The city has accessible, though not very trustworthy, transport system. FYI, Paris has the oldest metro system in the world. Which means, it’s old and can encounter difficulties on the older lines. I recommend staying near the center and avoiding the RERs (Trains not metros) as much as possible. The city is pedestrian friendly and you’ll the see the best of real Paris only on foot. The best time to Visit Paris is at the end of March to end of September. Honestly, any time is great to visit the most romantic city in the world. However, Paris winds and cold aren’t for the faint-hearted. Hence, I recommend summers for longer days and all of those scenic views! Even though it snowed this year in Paris, it is a rare occurrence, so don’t be hoping for all that in winter. It can be arguably dull! The city has some of the most renowned monuments and places to visit, in the whole world. However, I’ve also added some things that tourists usually miss out on but are beautiful nonetheless, and shouldn’t be missed! Start early with the iconic, Eiffel Tower. The beauty of the tower is best viewed from the Trocadero side. Get off at the said metro station and take the 10-minute walk to the tower. The summit is definitely worth going to. I recommend buying the skip the line tickets or booking them online advance to avoid the neverending lines during the peak seasons. If there’s one museum everyone in the world should visit, it’s the Louvre. The biggest museum by the traffic it hosts, it is most celebrated for the Da Vinci masterpiece – Mona Lisa. So, as soon as you’re done with Eiffel Tower, take a direct bus to the Louvre and see the Mona Lisa. Other places to be in Louvre are Gallerie d’Appollon (Apollon Gallery), Nepolianic quarters, and the confederation artwork. Don’t expect to see it all here. Put a cap on your time and see the renowned stuff in the time to make a move to your next destination. The tickets are best booked online in advance. There are many beautiful and laidback french bistros near Louvre. So, instead of going for the extravagant, expensive places, have your lunch in one of those places and enjoy the French hospitality. 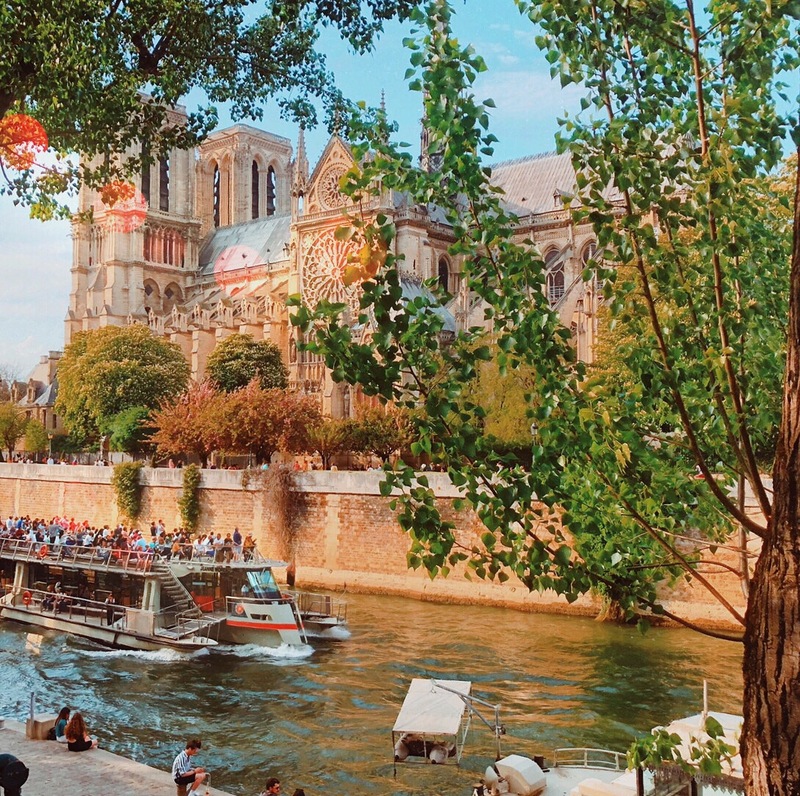 Move to your next stop of another famous place – the church of Notre Dame. The church is free for all but the lines go up to a block even on a regular day. So, be prepared to stand there and take some pictures while waiting in the line, maybe! The Gothic architectural marvel is an absolute beauty inside out. There’s a ticket if you want to climb the tower of the church. I, for one, don’t recommend it. Since it is time-consuming and after aerial views of the Eiffel, nothing compares! Across the road from Notre Dame is the celebrated Shakespeare and co. If you’re a book enthusiast, get some books. If not, just enjoy the coffee and snacks at their cafe. I strongly recommend this on a nice summer evening. Move on to the Paris Opera next. The building is just beautiful and so is the locale. 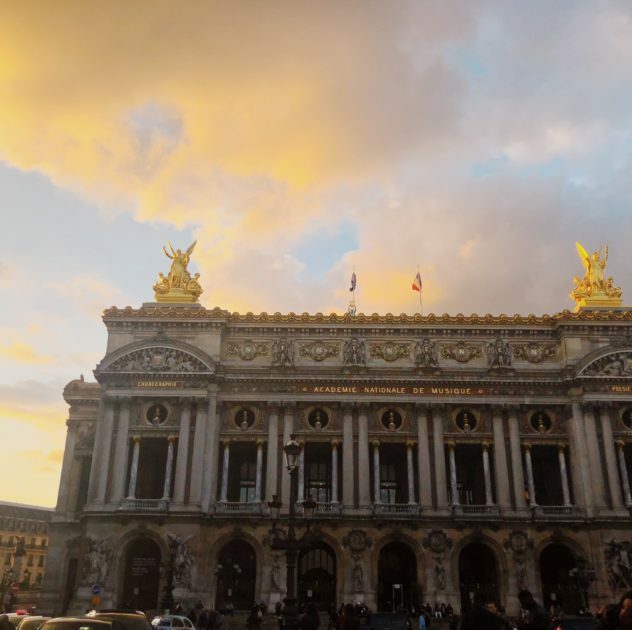 Of course, you can decide to watch it, I’d rather you hang out in the area or even indulge in some shopping at the Printemps or Galerie Lafayette. Amidst all the running walking and exploring, you’re done for the day by now. If you’re the one for nightlife, move to the Chatelet area for some great bars and cafes. Then move to Bastille for (cheap) clubbing the night away. The Bastille area is full of local students and has great mid-night food joints, too. Which is a rarity in all of France in itself! Since you’ve spent some extra time in the bed already, prepare to run a little more through the second day. Start with the palace of Louis 14 at the end of Paris. The palace has a museum inside and has beautiful gardens all around. There’s a small lake behind the palace which is perfect for a picnic or even just some chilling. I don’t recommend spending too much time inside the palace museum because the real beauty of it is all outside. Especially on a sunny day! Since you’ve already started late, have a quick lunch at one of the cafes in the Versailles area. The area is quaint and peaceful and the food really French! This, obviously, if you decide not to have the lakeside picnic! Most tourists skip this area but it literally is my favorite place to be in all of the city. The more known place to be in the village of Montmartre is the Sacre-Coeur but all I’m here is for those picturesque streets. Vintage feel ensured, the more you walk through the neighborhood, the more you fall in love with it. 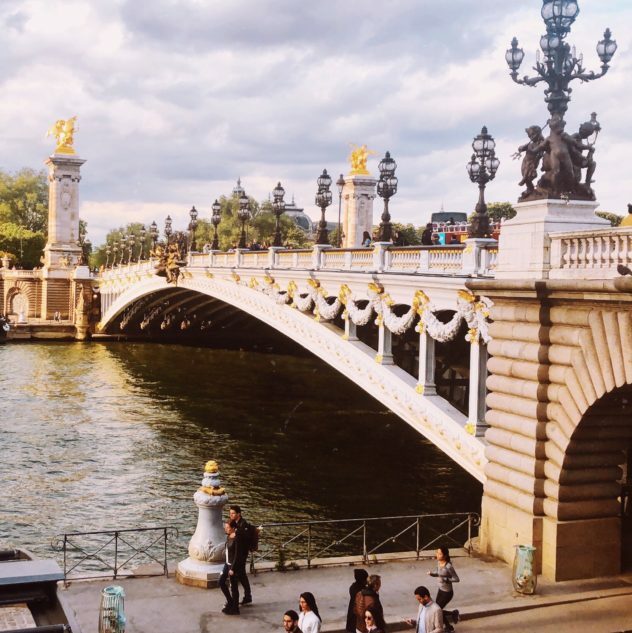 Don’t miss out the Parisian skyline and the beautiful artworks, too. 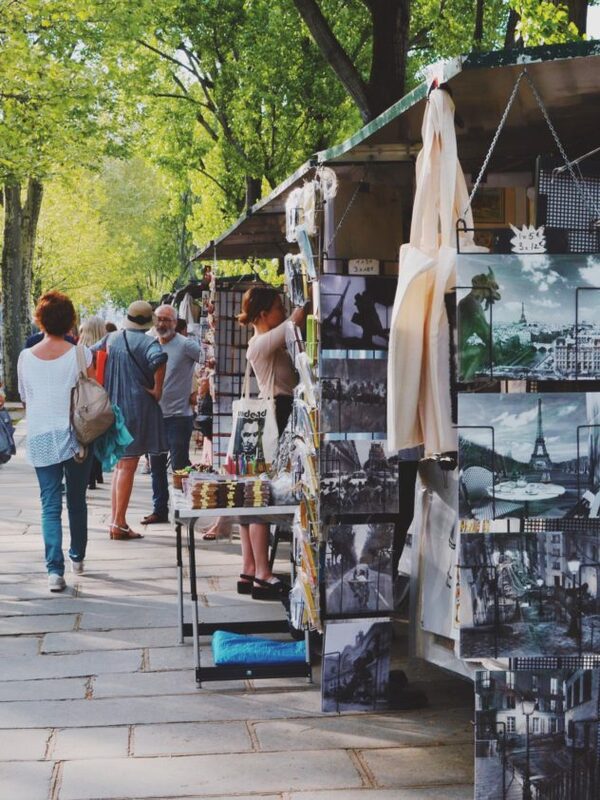 This area is known to be the home of all famous Parisian artists and you’ll see why. Creative inspiration is literally found here on every street. Don’t forget to see Moulin Rouge (even if from outside) on your way down. Visit one of the creperies right behind the Sacre Coeur to enjoy the best crepes in Paris. You’ll definitely love them with all the views. Weekend in Paris is incomplete without this indulgence! Make a quick stop at Champs-Elysées in the evening. Even if you’re not willing to buy anything, the street is worth a walk-through. Start from the Champs-Elysées Clémenceau side and walk toward the Grand Arch. Enjoy the scenics and take the direct metro from the station to our next stop. So, we’re right back from where we started, at the end of the Eiffel tower, taking a cruise from the pier. The Seine cruise is best enjoyed in the evening when the city of lights reveals itself in all of its glory. 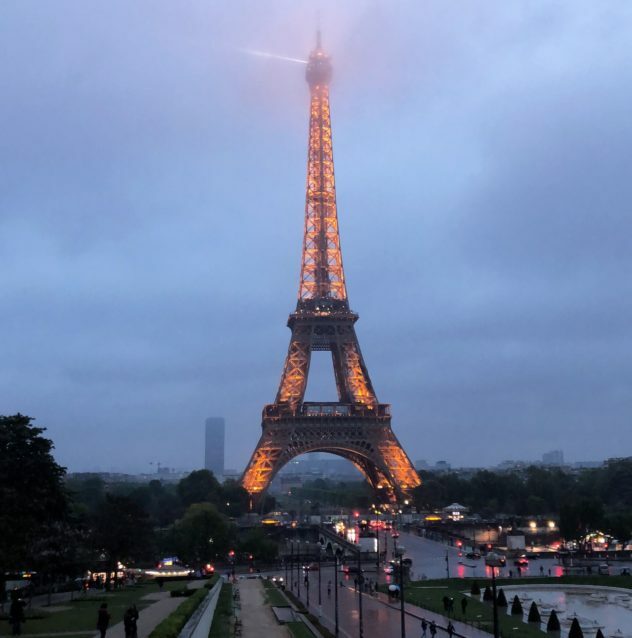 You’ll be able to witness all the key monuments in Paris one last time from your cruise and even the majestic Eiffel Tower light show that happens every hour. Some cruises let you enjoy dinner on board but if you’re all set, you can now take your next move on to a newer adventure. Sure you didn’t see everything but you saw most of what Paris has to offer in your short visit. So, that’s all I could fit in on my ‘weekend in Paris’. If you could think of something more, mention in comments below. If you’re looking to visit Paris or are looking to do some off-beat stuff in the city, I’ve got you covered. Hope you have a great time in my city. Absolutely stunning! This post has impressively convinced me that i need to visit Paris for sure and explore more places. Thanks for sharing your experience. I would like to visit Versailles, do you think will i can manage to cover all these places possible in such a short time? Looking for the best Paris offers. MakeMyTrip is my all-time choice to book flights or hotels. We’ll written! Coincidentally, I gave a similar itinerary to a colleague who was visiting Paris for this weekend. But I recommended visiting the Louvre before the Eiffel tower in order to get a good view of the Mona Lisa. I also recommended doing the catacombs at night and the Jardin des Tuileries.